The fall season has gotten off to a busy start. Brandon kicked things off with his first ever field trip. 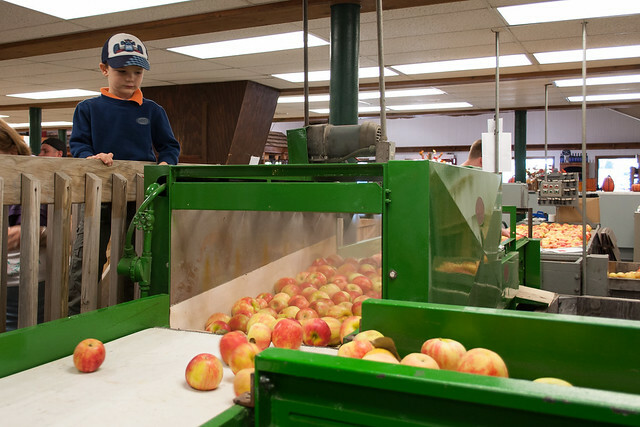 He and his preschool classmates visited Trax Farms to learn about apples, bees and gourds. 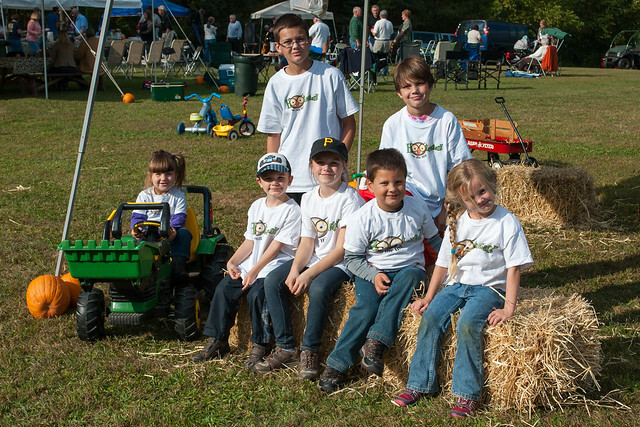 They also went on a hayride and sampled some fresh apple cider. The Hootenanny on the Hill was next. Everybody had fun with friends and family while wearing matching t-shirts. Pop-pop visited the hill while everyone was in town. 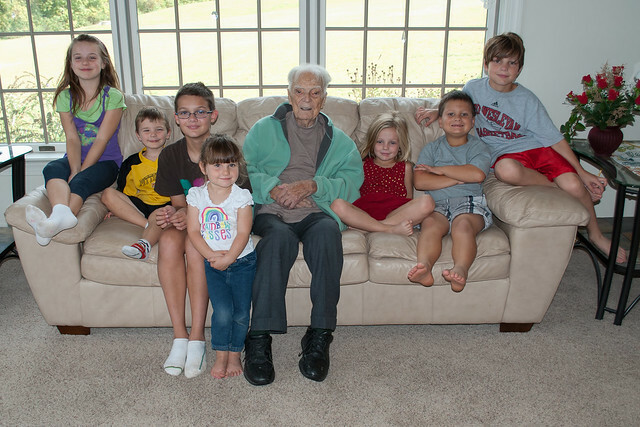 The ages of this group of his great grandchildren added together don't even equal half of his age. Did you hear about the duck? 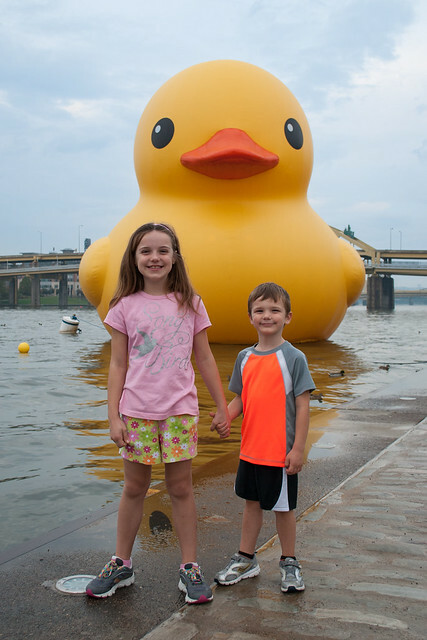 The 40 foot tall rubber duck floating in the Allegheny River near Point State Park in Pittsburgh? Of course we had to go see it. Evelyn had a chance to visit Heinz Field for Kids Day. 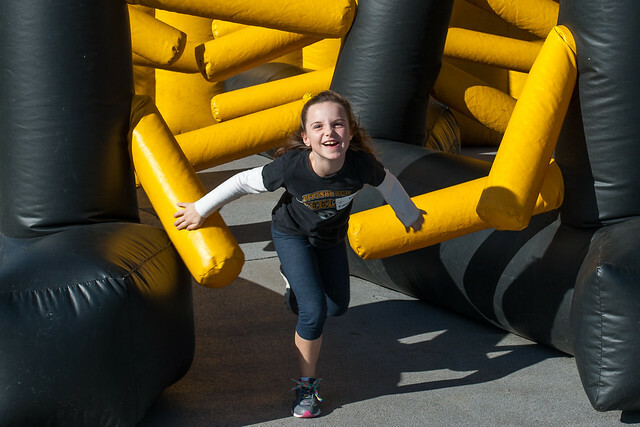 At this special event she took a tour of the Steelers locker room, participated in a football skills competition and ran back and forth through the inflatable gauntlet at least 25 times. Not bad for the first month of autumn. More pictures from fall 2013 are on Flickr.